Just the other day, I was discussing with a friend of mine and we started talking about our parents. My parents have been married since 1984, my friends’ parents have been married since 1982 and I’m pretty sure many people my age have their parents married for the longest time now. You would think that because they have been married 25 years (+), they know each other completely? I have been with my parents for 24years and their relationship is amazing. *Yeah, we kids watch…lol* and from my observation, this is my answer. “Oh well, Yes and No. Yes, on the obvious things like their best meals, best colors, best music, bleh bleh bleh, you can bet they have that on their finger tips and that’s because they have either told each other or it’s something they have experienced on a regular. It’s those things that one knows and they will be able to tell out or they have observed over time. No, because there are some characters or behaviors that only come up given a certain situation. So, if in those 25(+) years they haven’t experienced a certain situation that would exude a certain character, then either of them would not know how they would react and or how the other would react when that happens. There are those things that even you as a person would not know how you would react if a certain thing happens to you…you just have to wait. For example, you cannot know how the other reacts when they are stressed about something, say finances or teenage children unless you have an issue with financial strain or problematic teenage children. Then you can say, I know this person given that situation, if you assume you know how they would react, you could be in for the shock of your life. And as we discussed I was like, then how do we say, I’m not gonna be with this person because you do not know them. Of course you are never going to know them completely considering our parents have been married for that long i.e. they dated, then got married, live together, have children and share everything and they still have the “Oh My God!” or “Huh?”moments. They get surprised by some reactions or response of the other such that sometimes the way they would expect the other to react is not necessarily how they would react. 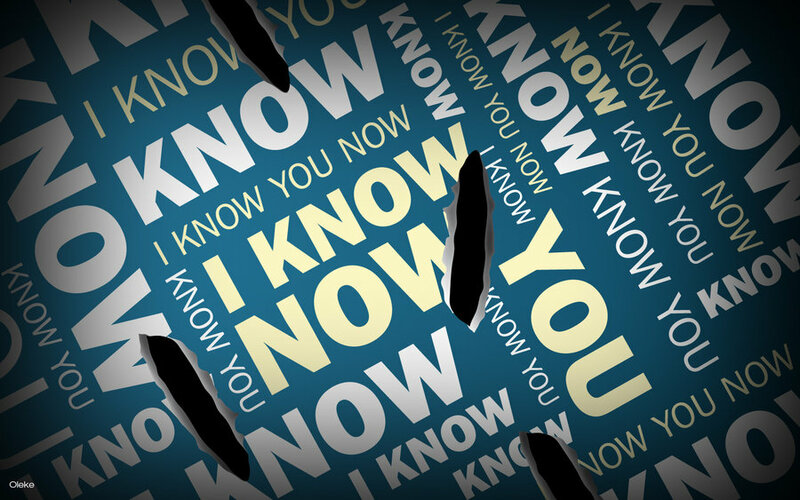 So can you really say you know someone? My take … NO *in caps*, you can never completely know someone, people are sometimes like the weather or worse, they change alot, they change due to various factors (external and internal), variables and constants in their life. With a different situation, comes different reactions, what you expect is not necessarily what you get. People have things called moods and feelings which affect reactions. You can only know little about someone and that’s what you use to judge whether that’s the person you want to be with or not, it could be both for friends and spouses. Other times, intuition and gut feeling is what you would follow. They say “Live in your heart and less in your head” … I also say listen to your heart and follow it *sometimes* because the mind can play some serious mind games.